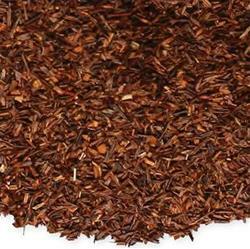 Red Rooibos Tea is made by bruising the leaves and stems right after they are picked and then leaving them to naturally ferment. 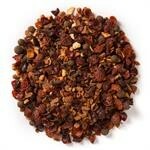 The resulting tea has a naturally sweet smooth taste and is a rich amber color, thus the name "red bush" tea. Rooibos is the only tisane tea that readily accepts cream or milk - just like the traditional tea you're used to.